Posts by tag "The Three Tuns"
May is a great time to get out into the open countryside when temperatures are warmer but it’s not too hot. Our members all give their top tips on things to do in Wiltshire. Here are some of their favourite walks. South Wiltshire 1. Well Natural - a fabulous independent health shop in Salisbury say a scenic walk at Old Sarum at sunset is the best. ‘Salisbury residents will be familiar with the beautiful history of how the city came to be at its current location. The gothic Salisbury Cathedral was built in that location following the decision from the previous settlers of Old Sarum, a historic hill fort which was once a thriving village and visited by many famous Royals including William the Conqueror, to move the Cathedral and build a city around it. The Old Sarum hill fort was still lived in until more recently, but is now a place of historic significance and managed by English Heritage. In the evenings, when the weather is nice, you can walk up to the ruins of the old Cathedral and watch the sun set in the distance. You get a fantastic countryside view and can also see the ‘new’ Cathedral standing prominently in the view overlooking the city. Highly recommended, just make sure to wear suitable footwear as the terrain can be rough.’ Location 2. Great Wishford’s Simply Bluebell’s favourite is the Roman Road in Grovely Woods. ‘What could be better than running, walking or cycling along the Roman road in Grovely. Far from the madding crowd with a tree lined walk that changes dramatically with every season, but is particularly spectacular in autumn. Fragrant with bluebells in spring, cool and refreshing in summer and mystical in the snow.’ Location 3. Clementine’s shop near Tisbury loves a walk around the lake. ‘I have grown up near the Fonthill Lake and have always enjoyed talking a stroll around the lake. You can walk some of the way around the lake, with lovely views.’ While you’re there it’s really worth popping in to see Clementine’s shop and their new café. Location The epicentre of our county 1. Brittany and Guy Murphy from Michelin starred The Red Lion East Chisenbury love to recharge the soul on the wide open spaces of Salisbury Plain as do Wiltshire Life pub of the year The Swan in Enford. Pete and Emma Jeffries of the Swan say ‘The single reason we decided to stay put. Salisbury Plain is on our doorstep and we absolutely love it! We walk our dogs, Digger and Pickle, on the plains every day and love the peace and quiet it offers. You can walk for miles with no fences or gates and enjoy great open expanses of our countryside. From the pub car park, you can be on the plains in minutes and, if you’re lucky, you’ll be able to see parachutists from Netheravon airfield making their descent, the Hercules carriers practising at Upavon as well as deer. We can let you know of the best walks from the Pub. It’s gorgeous in the sunshine but there’s even a beauty in the rain!’ Location Closer to Swindon? 1. The Pear Tree in Purton love strolling around the extensive grounds of Lydiard Park in Swindon. ‘It’s an under-used Wiltshire resource which deserves a better profile. It combines pleasure, leisure and history. We particularly love the Walled Garden which is carefully tended and the staff are always happy to answer questions and share their knowledge.’ Location 2. Buckerfields Barn love to walk on ‘The Ridgeway, the earliest known thoroughfare in Europe, imagine those who have followed the route over the last 10,000 years, watch the soaring birds of prey, embrace the big sky views and listen to the silence.’ Location 3. Overtown manor regularly walk around Barbury Castle to see Wiltshire’s beautiful countryside. Location 4. Little Dan Designs love a stroll around Jubilee lake in Royal Wootton Bassett. Location The Marlborough and Pewsey Downs 1. Beverley Hams from A Piece of Cake By Bev loves to walk on the Ridgeway on Fyfield Downs. ‘It’s just beautiful, the views are amazing, and great walking underfoot. Fantastic if you have a dog because of the wide open spaces’. Even better is the fact that once you’ve done the walk your even most justified in having one of her delicious tray bakes which she delivers! Location 2. Garp and Liis from Sticks and Stones café and lifestyle shop in Woodborough say.. ‘On our days off (rare, but it does happen) Garp and I love walking. Our favourite places are West Woods for the bluebells, Kennet and Avon canal to see the boats or kite flying on Woodborough Hill’. They make a fabulous cup of coffee so stop in after for refreshment or one of their delicious lunches. Location 3. Indigo Antiques is also a fan of the Pewsey Downs ‘The meadows around Adams Grave Longbarrow is at the summit of Walkers Hill. 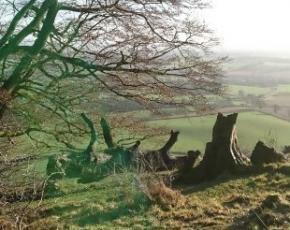 A wonderful place to walk in all seasons with a beautiful view across the Pewsey Vale. Walk up from the main road along the spine of the hill to get to the summit. Just above the huge Alton Barnes chalk White Horse, maintained by the local community. The hillside is full of a wonderful array of native wild flowers. I feel privileged to live in such a beautiful part of Britain.’ Location 4. Digger and Mojo also love that area ‘A fantastic walk at any time of year. Park and cross the road and walk up to the White Horse – check out its spindly legs – the 19c workers refused to dig a wider outline after the architect in charge ran off with their wages…! Children are always fascinated by the sheer scale of something so familiar they’ve seen from the car. The Pewsey Vale and beyond spreads before you; at 295m above sea level, you’re at Wiltshire’s highest point. Over the seasons you may spot rare wild flowers, paraponters and corn circles. Blow away the cobwebs or walk off your Sunday Lunch.' Location 5. Meadow in my garden 'One of our favourite walks is near Oare. It's a beautiful circular walk that starts at the centre of the village and takes you on a half hour loop.' Location 6. Balmain & Balmain say 'Walking through the Brails is a must, plus at the same time you can take in The Wilton Windmill, and end up in Great Bedwyn for refreshment'. Location 7. Radish loves likes the Old Railway path Marlborough - 'The old railway will take you all the way to Chiseldon, but you can make it as long or short as you like. We like to walk with our little girl in her buggy and our two boys on their bikes for an enjoyable weekend breath of the beautiful Wiltshire outdoor.' Location Nordic walking with Ashley runs all her walks around that area which is a great way of seeing the beautiful countryside while exercising. We've tried it and it's fab. Devizes 1. 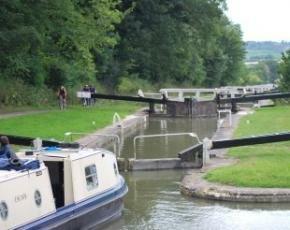 The George and Dragon in Rowde love a walk around Caen hill Locks. Owner Chippy Day says.. ‘This is a 2 mile walk around 26 canal locks, all cascading down the hill so they are an impressive sight. At the top lock is a cute café which is a welcome stop, fab ice-creams, cakes and tea, just what’s needed to keep going half way around.’ If you’re looking for a delicious pub lunch to round off the walk or a pint then The George & Dragon is just up the road. Location 2. Pink boutique like Drews pond in Devizes 'A stunning woodland walk whatever the season. This provided a therapeutic walk for patients from the old hospital which closed in 1995.' Location Forest 1. Tiffinie from The Wiltshire Liqueur Company challenges you to walk through Savernake Forest without getting lost. Her tip is to take lots of water! If it’s a shorter walk or a picnic she’d no doubt recommend one of her liqueurs for a warming tipple. Be in awe of the big old trees in the only privately owned forest in Britain. Michelin starred the Harrow at little Bedwyn also love the forest. Being foodies Roger and Sue love to forage for wild mushrooms and truffles. Ollie and Lauren Hunter from The Wheatsheaf in Chilton Foliat also love to forage. Ashley and James Wilsey and family from The Three Tuns, Great Bedwyn favourite path in Savernake is down by St Katharine’s, where there is a gem of a church set in amongst the trees and fields. ‘Sometimes you can hear the church bells ringing as you wander along the forest paths.’ Location Chippenham 1. Fairfax Antiques ‘Visit our local Maud Heath’s Memorial column on Wick Hill; Maud Heath was a widow from East Tytherton village who died in 1474 and left land to provide an income to maintain a causeway from Wick Hill to Chippenham for the benefit of the country folk taking their goods to market. We all love to walk to the ancient Maud Heath's Causeway, a pathway in rural Wiltshire rising above the Avon floodplain on sixty-four brick arches, carrying an undistinguished country road between Bremhill and Langley Burrell.' Location Closer to Bath Hannah from Gyidance (dance movement psychotherapy) loves a mid-morning walk through box woods to The Greenhouse, Wadswick 'A great way to get energised for the day with a trek up the hill and into nature. Met by wood-land Pigs and landscapes of beauty, Box Woods takes you into a maze ….. and leads you to an array of treasures, including The Greenhouse Restaurant. At the heart of the unique complex for older populations, The Greenhouse serves exquisite dishes in a light, yet warm and cosy environment as well as offering spa, health and beauty treatments. A must!' Location See our top tips map for more recommendations from our local independents on things to do. Here’s our suggestions on some resolutions & what you should be aiming to see & do in 2017 to make the most of this beautiful county. Plan for one a quarter and you’ll find it incredibly achievable and rewarding! 1. Our environment is in a fragile state but it’s not that hard to all do our bit to help. Local Devizes company Meadow in my Garden make wild flower seed mixes that encourage pollinators to gardens and sell animal homes for some of our precious wildlife. You don’t need to have a big garden for wild flowers & they not only look stunning but also help our busy bees, butterflies and ladybirds. They’re also looking for volunteers to help fill public spaces with wild flowers. Get in touch if you think you can help. 2. Look at your grocery list and think what you can source locally – there’s so much fabulous food & drink available right here in Wiltshire. Visit your local butcher or deli or become a regular at a Wiltshire Farmers Market so that local always makes its way onto your table. If you feel like a tipple look no further than The Wiltshire liqueur Company – also fabulous ingredients for any recipe. It not only supports your local economy but when it hasn’t travelled it’s better for the environment and tastes better too! 3. 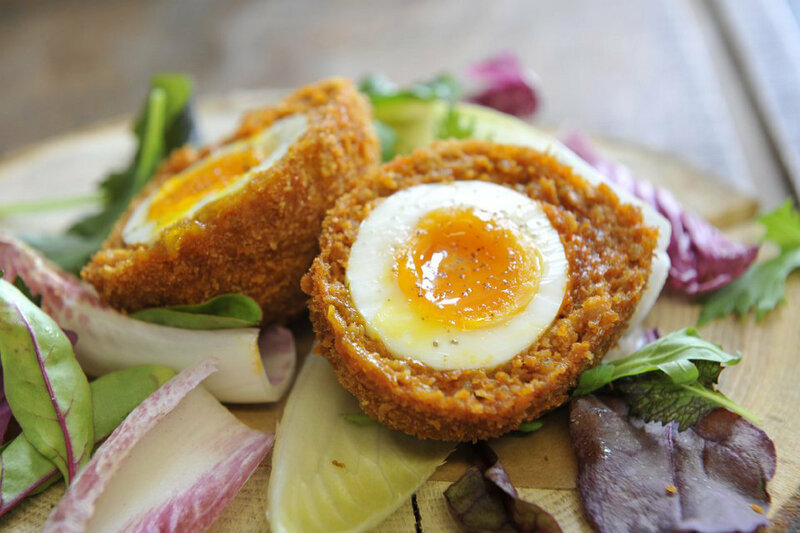 Experience some of the amazing pubs & restaurants in the county - It’s important to support your local pub & restaurant, but once in a while it’s worth going further afield. In Wiltshire we have The Good Food Guide’s best dining pub in the country - The Michelin Starred Red Lion, East Chisenbury. Recently shortlisted in the top 3 for Wiltshire life’s best pub in the county is The Swan in Enford. Don't miss The Three Tuns, Great Bedwyn described by Tom Parker Bowles as ‘Three steps to foodie heaven’, The George & Dragon in Rowde with their fabulous seafood & rustic luxurious rooms with a touch of Soho House, AP McCoy’s pub The Outside Chance, The Michelin starred Harrow at Little Bedwyn which has been AA and Decanter’s Restaurant of the Year amongst other accolades, and The Pear Tree in Purton, The Good Hotel Guide’s Best Country Hotel in 2015. For a casual lunch try the lovely Sticks & Stones in their lifestyle shop in Woodborough. 4. Regular bracing walks are a great way to stay fit. Visit a new part of the Wiltshire countryside & walk somewhere new – there are stunning walks from the North Wessex Downs to the Nadder Valley. 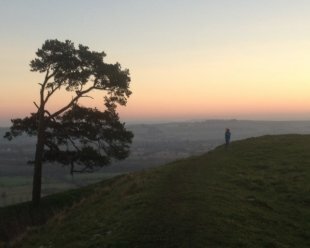 Our members have lots of top tips on things to do – whether it’s walking the ancient Ridgeway, a dog walk on Old Drover's Road, an invigorating walk across Salisbury Plain or a walk on the Roman Road in Grovely Woods or around Fonthill Lake near Tisbury you’ll be pleased you ventured there. 5. Look after yourself. We’re launching a wellbeing section in a couple of weeks time so keep an eye out but in the meantime if you’re keen to eat better (not less but just more of the right kind of food) Love Food has fabulous nutritional cookery courses which teach you how to eat well and feel good and are bound to set you on the right track. 6. Make it to at least one of Wiltshire’s events or festivals. Racehorses have been trained in Wiltshire for over a Century so have fun watching Barbury Races – a great day out for all the family. Kick off your shoes at a music festival or there are plenty of Arts Festivals around the county - Salisbury, Trowbridge & Devizes and fabulous theatre at Illford Arts Festival near Bradford on Avon. Marlborough have a literature festival & there are plenty of Food & Drink Festivals throughout the summer. See our events calendar. 7. Take in one of our national treasures – Stourhead near Mere is the second most visited National Trust Property. However, there are plenty more to choose from – Avebury (the ‘better’ stone circle), Lacock Abbey, Wardour Castle near Tisbury, Great Chalfield Manor and Garden (featured in ‘Wolf Hall’), The Courts Garden in Holt or Old Sarum near Salisbury. And don’t forget the marvellous Salisbury Cathedral and Malmesbury Abbey or Castle Combe, said by many to be the prettiest village in England or The Merchant's House in Marlborough to see how a wealthy 17th Century Merchant would have lived. 8. Learn something new - how often do you wish you could do something better? There are plenty of places offering courses – Marlborough College Summer School has every course you can imagine and it’s a fun way to spend a week. Wagon Yard Artists have fantastic ceramic courses and Delushious Home Comforts in Devizes offers cookery courses for adults & children. 9. Don’t always default to Amazon – if you’re looking for a gift or new items for the home stop and think if you could buy from a small local company. You’ll be amazed at the unique things available as well as how affordable they are too. We have lots of gift ideas for both him and her so check those out before going global! And lots of ideas for the home too. 10. Finally Christmas isn’t the only time to look after your loved ones. Contact and visit them regularly. Everyone loves to receive a card and Simply Bluebell does wonderful greeting cards by local rural artists. Receiving flowers puts a smile on everyone’s face and Pod & Pip do wonderful natural flowers with handwritten note that can be sent anywhere in the UK. Here's to a fabulous 2017!